Actress and writer Ilka Chase in "Now, Voyager" (1942). 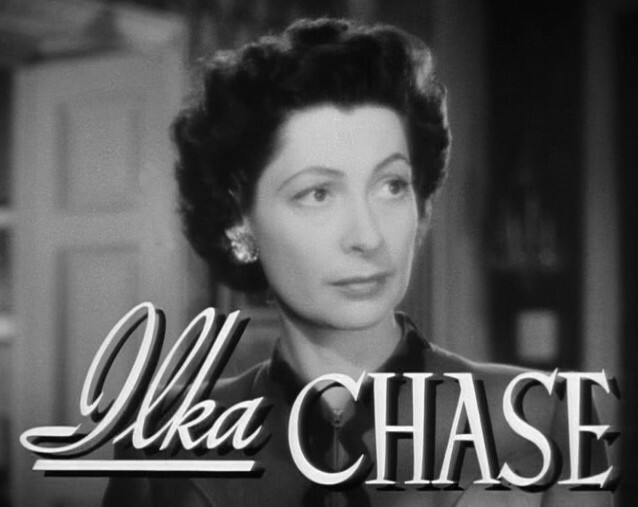 She played the role of Lisa Vale, sister-in-law of Bette Davis's character, Charlotte Vale. Only child of Vogue editor-in-chief Edna Woolman Chase and a classmate of tastemaker Pauline de Rothschild — they attended the same small boarding school near Paris in the early 1920s — the tart-tongued Ilka Chase (1905—1978) was a boldface personality in the mid-twentieth century. A well-known character actress, she appeared in such films as “Now, Voyager” and “Ocean’s Eleven” and numerous stage productions (she was in the original Broadway casts of “The Women” and “Barefoot in the Park”). She hosted a radio program and wrote novels and memoirs too, as well as a handful of mirthful books about her worldwide travels. 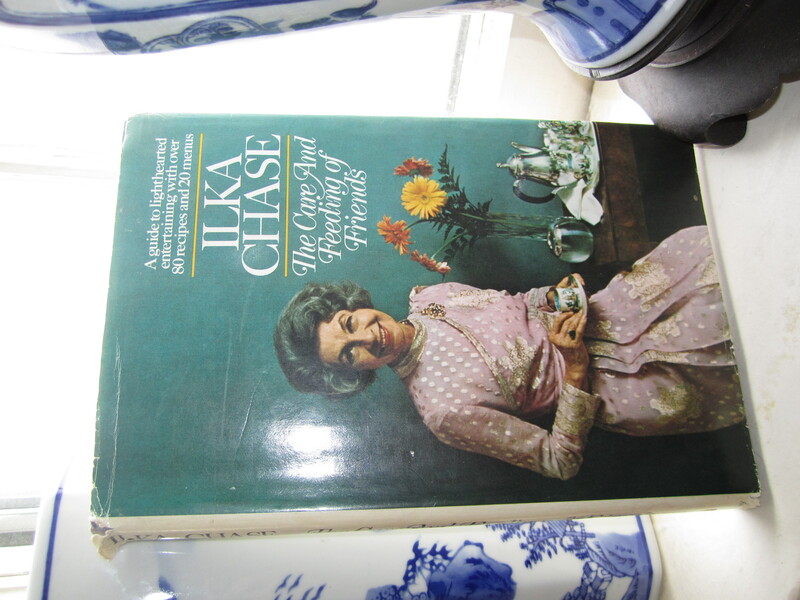 And near the end of her life, Chase, then living in retirement in Mexico City with her third husband, a doctor, penned a cookery book: The Care and Feeding of Friends (Doubleday, 1973). My spouse brought home a copy the other day and encouraged me to make something from it. Chase’s sole culinary publication is not, I hasten to warn you, a brilliant piece of work. Though her wicked tongue is largely unimpaired, the book has a dated archness and, in some instances, is just plain offensive. One section, for instance, is dedicated to the proposition that no single woman can live without homosexuals in her life, especially if she needs an extra man at the table. Chase comments on gay men and women as if they were a curious species she had come across on one of her travels, ie “Many homosexuals are extremely pleasant companions” or that, very often, they “are outstandingly courageous” on the battlefield. The recipes in The Care and Feeding of Friends sound delectably boring, if that makes sense. The dishes are not particularly adventuresome comfort food, which likely explains why New York magazine’s restaurant critic, Mimi Sheraton, dismissed Chase’s book as nothing compared to the inspiration one could get from a single issue of Gourmet. (She found the odd homosexual passages eyebrow-raising as well.) Still I thought I’d give Chase a whirl. After all, the weather was cold, fat snowflakes were drifting down, and the fish chowder recipe looked easy enough, if retardataire; the ingredient list features canned soups. 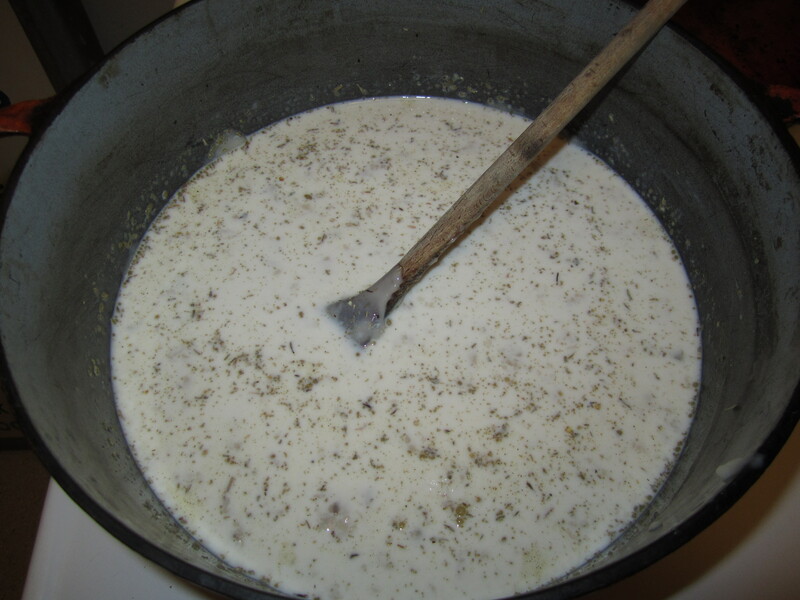 Called Mrs Rose’s Fish Chowder, the recipe came courtesy of Chase’s friend Bertha Bartlett Rose (1905—1986), wife of prominent stockbroker Reginald Rose. An authority on antique houses and furniture, she sat on the boards of Winterthur and the Museum of the City of New York, and grew up around choice works by Duncan Phyfe. The soup was a last-minute replacement for a lovingly prepared fish chowder that had gone bad overnight. Mrs Rose and her cook saved the evening by coming up with a substitute, utilizing cream of mushroom soup, cream of celery soup, cream of chicken soup, and several varieties of cooked shellfish. As Chase recounts, Bertha Rose’s guests were none the wiser and pronounced the chowder delicious. So did my husband. And, yes, our daughter was smitten too, believe it or not. Word to the wise: Chase notes that Bertha Rose added “a little Beau Monde seasoning” to the chowder, but does not include that particular ingredient in the recipe. Spice Islands makes Beau Monde seasoning, which the firm describes as “a perfect balance of celery, onion and salt with a touch of sweetness.” You can also make a batch yourself; Ehow.com has directions. Mrs Rose's Fish Chowder, warming up over a low flame. In a large saucepan, mix the soups together. Add the milk and seasonings; heat through. Add the sherry and seafood; heat through. One kind of seafood is adequate. Three are living! 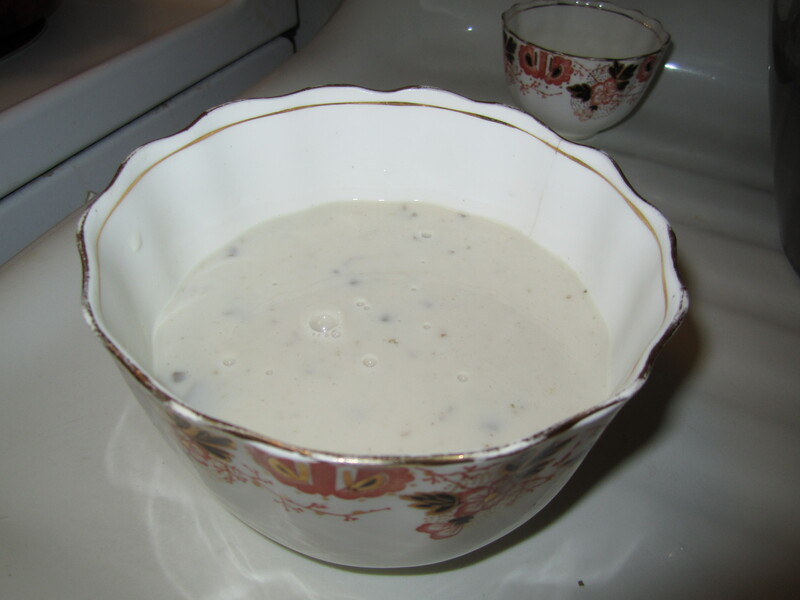 A serving of chowder; the bowl is 19th-century English porcelain.